The Nordic Track S3000 treadmill is arguably the best treadmill in the market right now, in any price range, in terms of providing value. Its excellent power, numerous features and first-rate quality make this machine a great bargain for those who can afford it. If you’re after quality, durability and power, then this treadmill provides all that and more. It is one of the best treadmills you can buy in the market right now. However, its near $3,000 price tag makes this machine remote to most consumers. If you want a cheaper unit that still gives you value for your money, I suggest you check out our best buy treadmills page. The Nordic Track S3000 treadmill possesses a powerful 5.0 CHP commercial grade DurX™ motor. This motor has speeds of up to 12mph and inclines for up to 12% which is perfect for people who loves intense workouts. And by using ZipSpeed™ and ZipIncline™, you can easily change the pace and angle of your run by simply sliding your finger to your desired settings. The 20” x 60” 2-ply commercial grade tread belt allows for larger strides and more room for you to move comfortably. It was designed to operate with the least noise possible as to not distract you during your run. The DuraSoft™ advanced cushioning helps reduce impact on your ankles, knees, and hip joints for up to 28% compared to running on concrete. This provides users added protection and comfort during workouts. This machine offers 25 pre-programmed workouts designed by certified personal trainers. There are also 4 heart rate workouts, for those who run using their target heart rate, 4 MyDesign workouts, that are customizable to your preference, 4 calorie workouts, that you can set to help you burn your target amount of calorie, one 10K workout and one marathon workout. All in all there are 39 workouts for you to choose from and you have the option to add more since this machine is iFIT® compatible. The 24 alphanumeric character display helps you keep track of your feedback on an 8x30 matrix. It shows basic information regarding your workout including your speed, time, pace, distance, incline, heart rate and calories burned. The only weakness I see with this machine is its warranty. Although it offers lifetime warranty for the motor, the rollers (4 years), parts (2 years), belt and in-home labor (1 year) warranties are below what you would normally expect from a treadmill worth $3,000. 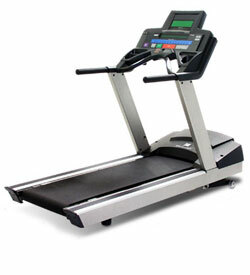 If you plan on buying a quality treadmill, then the Nordic Track S3000 treadmill is highly recommended. This is definitely one of the best treadmills you will find in the market today. If you plan on buying a Nordic Track S3000, I suggest you buy from nordictrack.com. They offer the best price on the net. You can get it for just $2,999.